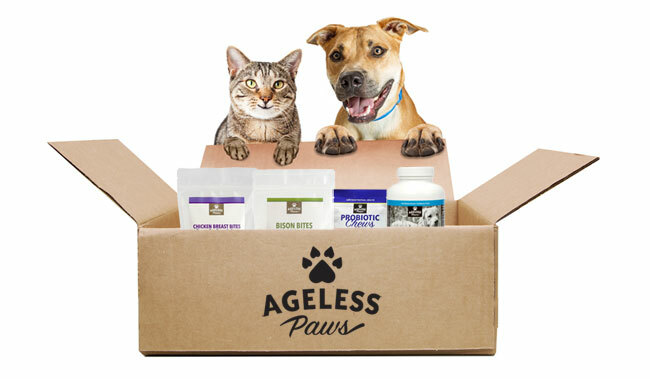 Get a .3 oz treats sample for FREE, just pay $3.99 for shipping and handling. Limit one free sample per customer. As a physician, certified nutrition specialist and pet lover, Dr. Sinatra believes it’s very important to choose healthy treats and foods for our beloved dogs and cats. That’s why he hand-selected these all-natural freeze dried treats – because each is simply made with just one ingredient that is free of antibiotics…That’s it – no additives, preservatives, or fillers; just all-natural nutrition you can feel good about treating your dog or cat to! Made solely from wild Atlantic salmon, these freeze dried treats are naturally grain-free and deliver nothing but the delicious nutrition of raw salmon. Dr. Sinatra likes salmon – for both pets and humans – because it is a great source of protein and omega-3 healthy fats, and it also contains coenzyme Q10, an antioxidant nutrient our bodies need to make cellular energy. Since they are made from wild-caught salmon, these healthy freeze-dried treats are free from the pesticides and antibiotics often used on fish farms. The perfect size for dog training, or just pampering your best furry friends. A great source of lean protein, bison also contains coenzyme Q10, which is even more concentrated in organ meats like the liver and heart. Dr. Sinatra also likes bison – for humans and dogs – because they’re raised without antibiotics or growth hormones, and are grass-fed for most of their lives. These grain-free liver dog treats are freeze-dried while raw to maintain their nutritional integrity and natural flavor, all while meeting the strictest food safety standards. Organ meats pack more vitamins and minerals than muscle meat, and hearts are particularly rich in coenzyme Q10, an all-star nutrient we all need to produce cellular energy. Freeze dried while raw to maintain nutritional integrity, these USA-raised turkey heart treats are produced under the strictest food safety standards. Your dogs will love the delectable organ-meat flavor, and you can enjoy giving them pure, grain-free nutrition! 100% chicken breast, these grain-free, freeze dried chicken treats for cats and dogs are also free of fillers, preservatives, and artificial anything. Chicken is not only a terrific source of protein; it also contains a variety of essential vitamins and nutrients. Freeze drying the chicken while raw helps preserve freshness as well as its nutritional value. Delivering nothing but pure chicken nutrition, these are goodies you can feel great about treating your pet to.